I’m blown away by the new Prius ads. David Kiley said this ad from Toyota may have been inspired by Honda’s earlier diesel engine “Hate Something” spot (compare the two yourself), but from my eyes, it’s the freshest creative in a decade. But it’s not just creative for creative’s sake. Lots of agencies are living the creed “make it entertaining, engaging and disruptive” so consumers take notice and buy. The new Prius spot is much more. They’ve taken a car that was already the # 1 best selling hybrid in the world – the undisputed mainstream brand – and made it a vehicle of the people, for the people, by the people. Literally. Using 200 extras, they created a layered – but somehow unified – sea of 1 million people parts. Everything (except the Prius, road and sky) was constructed from human beings who become “landscape texture.” Grass. Water. Trees. Clouds. Stones. Leaves. Sun. Flowers. Butterflies. The Bellamy Brothers’ # 1 hit from 1976 – “Let Your Love Flow” – is the audio glue. The piece de resistance (besides the people, colors and music) is the movement. As the Prius drives by, clouds shift, grass sways, butterflies fly, flowers open, water flows, the sun glows. It’s a visual trip, blending nature, technology and the human race. They’ve raised the branding bar yet again with the newest Prius ad, spotlighting solar. Hopefully for Toyota, the new campaign will move more than grass. The Prius has been struggling in the U.S. of late (mirroring the rest of the auto industry). U.S. sales of the Prius were down from 15,011 in May 2008 to 10,091 for the same month this year. 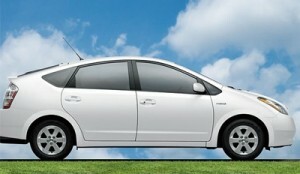 Year to date, U.S. Prius sales are 42,753 compared to 79,675 in 2008 – 45 per cent less than last year. I feel better every time I see these ads. I actually want to see them. I can’t remember the last time this happened. Retailers go green for two reasons. One, consumers favor products they believe are green. Two, it’s the right thing to do. One in three American consumers are more likely to choose environmentally responsible products, and 70 percent of Americans are paying attention to what companies are doing about the environment, according to an Opinion Research poll. Across the water, two out of three UK adults say environmental concerns influence their purchasing decisions. Does the time and expense of green retailing to these consumers pay off? The jury is still out on that one, so the smart retailer at least considers going green. Fortunately, good green retail marketing is by definition good for the planet. It’s not greenwashing. To be effective, green retailing actions must be able to withstand reasonable scrutiny. They’re changes that matter, in ways however small, to the planet and your business. If you want to go green, the first thing to do is conduct a thoughtful inventory of how your business affects the environment. Consider both the obvious and less obvious impacts. Let’s say you sell cars. Obvious impacts include the gas they burn, the emissions they spew and the pile of tangled metal that eventually goes to the landfill. The less obvious effects include the production of electricity to illuminate your lot; the trees that die for your paperwork; and the impact of trucking new cars to your showroom. Less obvious still are the natural resources that go into the vehicles’ parts, the energy produced in refining those materials, and all the subsequent consequences of manufacturing. Any product can be greened up. Downsize the vehicles you sell, for example, and make room for some hybrids. Or use greener materials. Payless Shoes now offers a full line of eco-friendly footwear, purses and accessories that use natural fibers like organic cotton, hemp, jute (plant), recycled rubber and plastic, water-based glue and (for packaging) 100-percent recycled boxes printed by soy-based ink. No metal or pesticides in the sourcing chain and no excess raw material extraction. (Sorry, ladies, no pumps either, but you can still get some elevation, see right.) The marketing benefits are immediately clear: Why else would this post mention Payless? How else would Payless have caught our eye on Reuters? Whole Foods Market banned the use of plastic grocery bags at its 280-plus stores starting on Earth Day 2008. In the ensuing year, it says it has kept an estimated 150 million plastic bags out of landfills. The campaign helped energize customers to triple their use of reusable bags – themselves made of recycled materials. The company also sells a special reusable bag for $29.99, each sale of which feeds 100 kids in Rwanda. That’s good marketing, and it’s hard to be cynical about feeding the hungry. 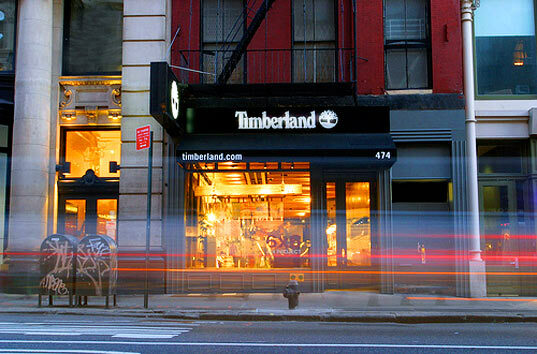 Timberland opened a “carbon neutral” store in New York City last week with reclaimed wood, salvaged brick, efficient lighting and non-VOC paint. These green features hit the consumer between the eyes. Although less visceral, Timberland’s LEED certifications for its mall stores are also important for green credibility. Renewable energy certificates, or RECs, are commodities that an organization can purchase from a renewable energy producer (solar, wind, biofuels) to conceptually offset the harm the first company’s power sources are causing. Purchasing a REC subsidizes renewable energy production and effectively increases the cost of emitting carbon. It’s of limited green retailing value except in bolstering a claim of progress toward carbon neutrality. Modesty is always nice, lest you provoke observers to note all the ways you are not yet green. Align green retail actions with your product. The auto industry needed greening, so Toyota greened an auto, the Prius. Coca-Cola, a beverage company, is vowing to replenish the supply of the world’s most popular beverage: water. Alignment resonates. If your building is LEEDS certified but your product pollutes, your overall message is weak. Try to be correct. The Treehugger blog skewered an Italian architect for a stunning creation billed as the “first zero CO2 office building in Milan.” Among other things, the building is elevated on 13-meter pyramid-like “stilts,” effectively driving occupants onto elevators just to get inside. On a roll, the blog even complained about the carbon footprint of manufacturing photovoltaic panels for the roof. Prepare for surprises. As BusinessWeek.com reported, Coca-Cola until recently assumed that most of its emissions came from manufacturing or its trucks. It discovered the lion’s share came from cold drink equipment – the coolers, vending machines and fountain dispensers. This gear includes potentially damaging refrigerants and insulation and consumes a lot of electricity. This unexpected source accounted for about 15 million metric tons of emission every year – almost twice that of the trucks and manufacturing combined. These examples should give you some direction in planning your next step in green retailing. Remember, if it’s good for the planet, it’s good for business. Because it’s hard to profit without a planet. 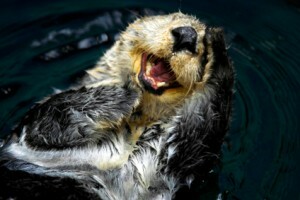 A word about plastics, the bete noire of the environmental movement, and a lesson in fuzzy math, environmental style. Plastics, as we’ve been taught since the mid 1970s, are evil. Lucifer, sitting on his throne in hell, handed the formula directly to inventor Alexander Parkes in 1862, and life hasn’t been right since. Made from petroleum and breaking down into hazardous chemicals – when they break down at all – plastics are symbolic for everything that’s wrong with the world economy. There is no better example of plastic’s malignant effect than the spread of bottled water. 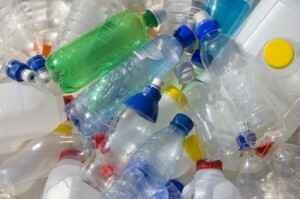 Plastic water bottles increase petroleum use, clog landfills and foul the oceans, according to environmental groups. Every time I buy water in a plastic bottle, I feel like I’ve personally flown up to Prince William Sound and rolled a sea otter in Alaskan sweet crude. Plastic bottles have gotten such a bad rap lately that you might as well be carrying a mustard gas canister out of the MobileMart as 16 ounces of Poland Springs, in many environmentalists’ estimation. You can’t care about the environment and drink bottled water, goes the new orthodoxy. So let’s stop buying water in plastic bottles! When demand slumps, the bottled water companies will have to use a more environmentally friendly material, like glass. Glass isn’t made from oil, it recycles easily and it doesn’t degrade in landfills. That’s all true, but glass breaks more easily than plastic. Breakage increases waste and spoilage. More waste means producing more to meet demands – which takes energy. Also, because it doesn’t degrade, glass permanently takes up landfill space. It’s heavier than plastic, so it requires more energy to ship. Okay, so maybe glass isn’t the answer. How about boxes, like the kind kids drink juice from? They’re light and durable. They’re also difficult to recycle unless the thin layers of plastic and metal insulation are stripped from the paper, according to the New York Times. Metal cans? Very recyclable, but it takes a ton of energy to produce and recycle metal – especially aluminum. The point here isn’t to stick up for unfettered use of plastic bottles. The debate around plastic bottles and their potential replacements is symbolic of a larger issue – the complexity of “environmental math,” or trying to figure out when doing something with environmental motives has unintended consequences. The way our economy is geared right now, if we’re going to cut down on something like plastic bottles, we expect another disposable alternative. That’s the key word – disposable. Anyone wise to environmental issues knew right away that the plastic bottle scenario above is a red herring. The best alternative to a disposable plastic water bottle isn’t making a disposable bottle out of another material; the best alternative is a reusable water bottle. It can be made of metal or plastic, as long as it isn’t thrown away. Because what we use is the smaller part of our environmental conundrum. Every product and commodity has an environmental price tag. The bigger problem is that we use too much of everything, and our appetite is growing. As far back as 1995, United Nations writer John Young reported in “Towards a New Culture of Consumption” that “materials use has grown far faster than population: in the US, total consumption of virgin raw materials was 17 times greater in 1989 than it was in 1900, compared with a threefold increase in population.” Metal, glass and plastic consumption is also increasing. Reducing use of one commodity usually means using more of another one, unless our disposable society changes. We have to stop making stuff to throw away. If this most important part of the oft-repeated “reduce, reuse, recycle” mantra is to catch on, then, it’s going to have to be a grassroots movement. Ten years ago, it would have been unrealistic to expect a national campaign of “turn it down, turn it off, don’t use it, don’t buy it” to take off on its own without some big patron saint at the national level. But we live in the viral marketing age fueled by the Internet. A growing crop of Web sites like carbonfootprint.com and the World Wildlife Fund site advise consumers on simple measures that make a big difference. A small example: washing clothes in cold instead of warm water – which is reducing electrical usage – saves the average consumer $167 per year, according to the blog Saving Electricity. The Rocky Mountain Institute estimates a lower dollar savings – $61 – but a higher percentage – 85 – and 1,281 fewer pounds of CO2 released into the environment. Since you’re reading an environmental blog, chances are you knew that already. So here’s an extra credit assignment: find a good energy or material conservation tip on a Web site that you like, and e-mail it to people you know who are least likely to be environmentally aware. Tell them how much they can save washing clothes in cold water, or turning the air conditioner down two degrees. You could be planting the seed of a reduction revolution. And what the heck, put a reusable water bottle in their Christmas stocking. It just might catch on.